Earlier this week TSMC announced that their 5-nanometer process technology has entered risk production. 5 nm PDKs are now available for production design and design components and rules have been delivered to their Open Innovation Platform (OIP), ready for customer designs. 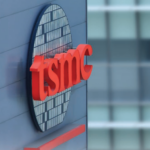 TSMC has not been very forthcoming about their 5 nm (or 7 nm) design rules. 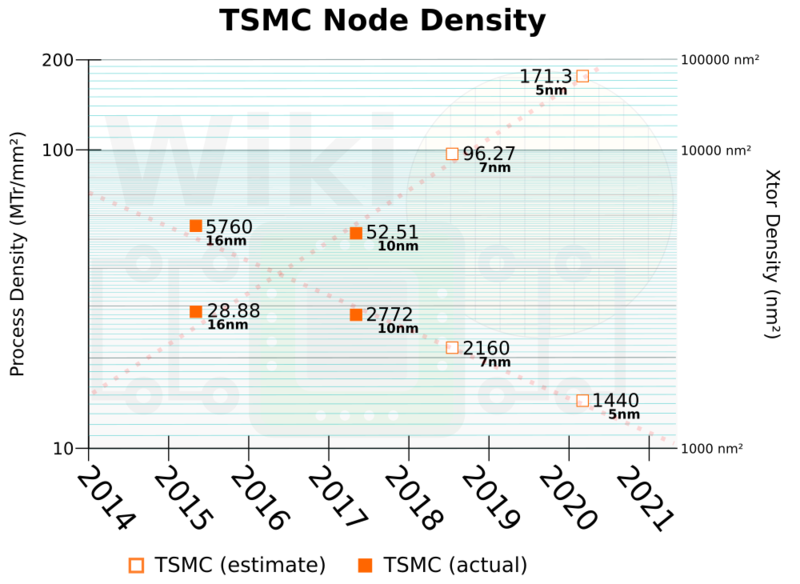 TSMC reported a 1.6x compaction ratio compared to their 10 nm node and 3.3x compared to 16 nm. 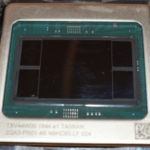 They also reported 35% – 40% speed improvement or >65% power reduction over their 16 nm. We believe they are using a 54 nm gate pitch and a 40 nm metal pitch for their 7 nm node. This yields an estimated logic density of 96.27 MTr/mm². Their 7-nanometer process has been in mass production since last year. As of Q4 2018, the node has accounted for 23% of total revenue. 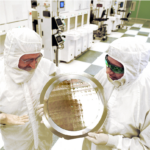 Their 5 nm node continues to use bulk silicon FinFET transistors. Leveraging their experience from 7+, 5 nm is expected to utilize EUV for more critical layers in order to reduce the multi-patterning complexity. The 5 nm node is expected to deliver a 15% improvement in performance at constant power or a 20% reduction in power at constant performance. TSMC is targeting both low-power mobile and high-performance compute with this node. 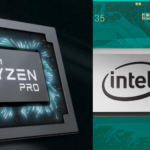 At the company’s technology symposium last year, it was disclosed that they are targeting a 1.8x compaction ratio compared to their 7 nm DUV node. Based on that, we estimate a gate pitch of 48 nm and a metal pitch of 30 nm for an estimated density of 171.3 MTr/mm². 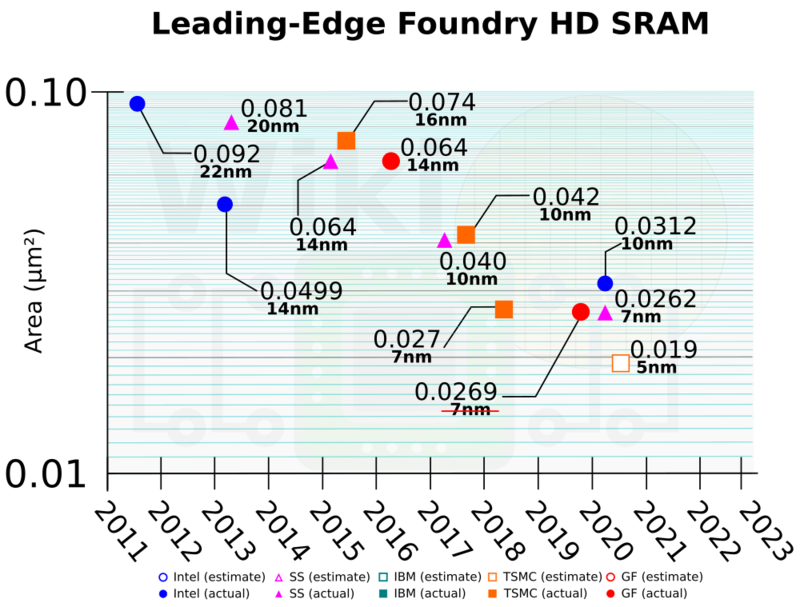 With those estimates, we expect the HD SRAM size for the 5-nanometer node to be around 0.017 µm² (20nm FP) to 0.019 µm² (22 nm FP). At their earnings call in January, TSMC stated they expect 5-nanometer volume production ramp in first half 2020.